Skyscanner, a leading global travel search and comparison engine, has partnered Vanilla Air, a subsidiary low-cost airline wholly owned by All Nippon Airways. The parterniship enables travellers to book air tickets directly with Skyscanner across both web and mobile channels, without having to re-direct to external websites. Offering extensive coverage of over 1,200 travel companies – from international airlines and travel agents through to hotels – Skyscanner’s integrated travel search service includes price comparison and ticket search. Traditionally, after searching for the best travel deals, users of the Skyscanner website or mobile app are redirected to the relevant supplier to complete their flight or hotel booking. Thanks to this new partnership, travellers can now use Skyscanner’s Direct Booking platform to fill in their passenger details, choose ancillary services and complete bookings with Vanilla Air directly within Skyscanner. The innovative service allows customers to book tickets with Skyscanner at the exact same price as booking via the official website of Vanilla Air. 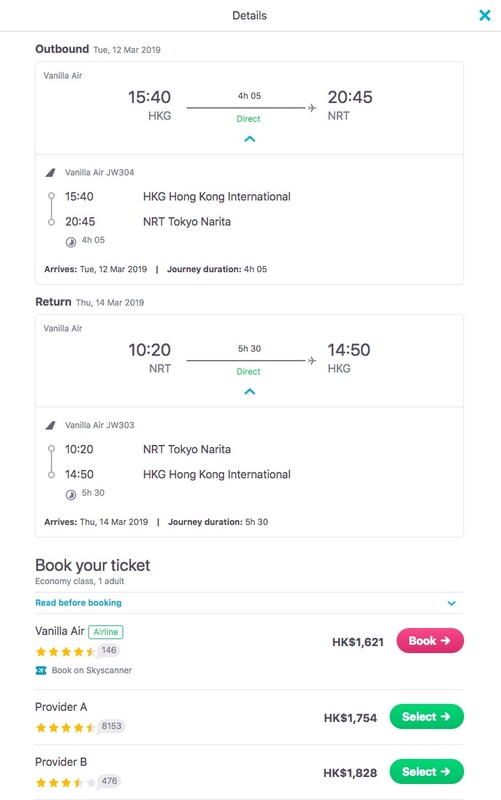 In addition to Vanilla Air, which is the first Japan-based airline to join the Direct Booking platform, Skyscanner has also partnered with a number of other brands to offer Direct Booking service, including Cathay Pacific, Singapore Airlines, British Airways, Aeroflot and Scoot. See latest HD Video Interviews, Podcasts and other news regarding: Skyscanner, Vanilla Air, ANA, Japan.